Vessel was awesome to work with! 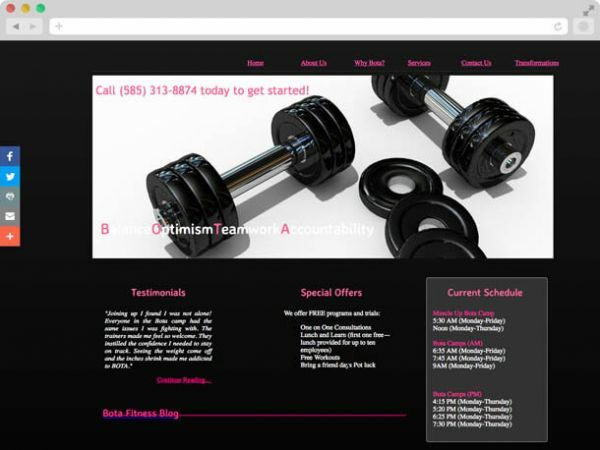 They designed an amazing, professional website for our fitness business! They added everything we asked for and more! 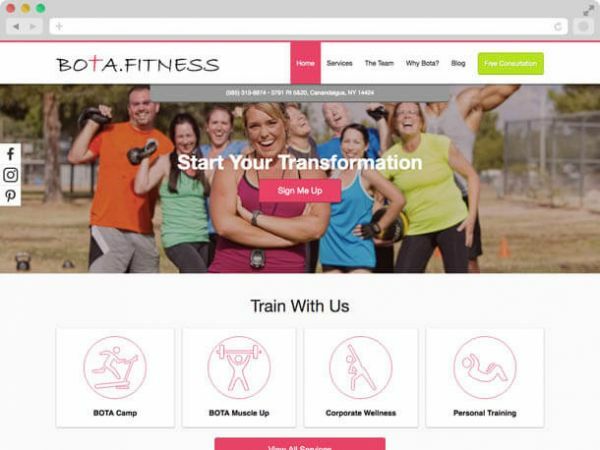 Bota Fitness is a gym in Canandaigua, NY focused on complete lifestyle transformations. It's not just a place to go and work out, they have a vested interested in every one of their members and help them undergo a complete transformation through customized workout routines and healthly living recommendations. After meeting with the owners, Bo and Tanya, and seeing the passion they had for this I knew we needed to help them. As with all of our clients we started with countless hours of research into their industry and their business so that we could provide them with the most comprehensive and functional site possible. We were able to create a uniquely custom site that matched the personality of their brand and is now available to all of their members on any device!